If time and personal talent seems aloof in giving your mane the perfect care and style, a hair salon could be your best refuge. Hope and complete pampering are served under its roof for all women desperately searching for the best solution to get that gorgeous looking hair. Before stepping one foot forward inside any salon, however, it would be best not to get too excited and get hold of your senses first then look around. Hair salons are spread everywhere offering various kinds of services to improve or maintain your hair. 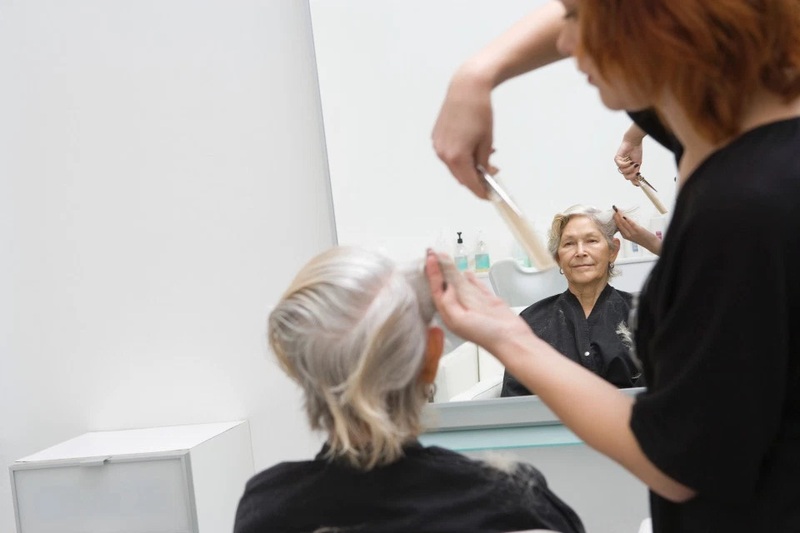 Generally, a hair salon offers an absolute range of hair care services such as hair cuts, hair washing and conditioning, hair treatments, and hair styling. Hair experts and stylists man the salon and render consultation service to clients for their hair concerns. If you still don’t get the picture, just imagine a place where women converge with their heads wrapped under a heating machine while reading the latest hair style magazine or chatting with friends. Since hair is the main beauty attraction, choosing the right hair salon is very important. Every woman would agree that their hair deserves the best care ever and it’s not easy to just trust those lovely tresses to any hands. Even specialized hair salons would not guarantee. With the growing of number women getting more serious hair concerns, hair salons now are also getting more focus and exclusive offering more specialized services to different hair care needs. So we can see a hair salon exclusive for African-Americans only or a salon offering just bridal hair styling services. But it is still advised to be more meticulous and choosy in acquiring services for your hair. So how do we know it’s the right hair salon? Ask around first. Testimonials of other people who have tried the services of that salon and got desirable results could help you. Don’t get enticed with catchy and flowery advertisements and cheaper service cost. You may also first try getting free consultations offered in quality hair salons that would allow you to take a glimpse on the interiors, equipment, services and ambiance of the salon. Getting minor services such as trim or simple wash would also help you get a feel of the quality of the service a salon may offer. Ultimately, always think of your hair first. Just always remember not to rush things especially if it concerns your sensitive hair. Thanks for sharing excellent informations. Your web-site is so cool. I’m impressed by the details that you have on this web site. It reveals how nicely you understand this subject. Bookmarked this website page, will come back for more articles. You have a very good and informative blog that contain plenty of information about different things. I found some good resources to the websites here.I am a writer at custom essay writing service,if you have any doubt n writing essays,please visit best essay writing service.